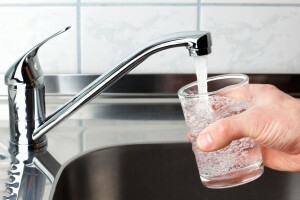 An under sink water filtration system may be an ideal solution if you’re concerned about additives or impurities in your home’s drinking water supply. This type of home water purifier can be installed conveniently under your kitchen sink or further below in your basement, and functions as a point-of-use system, which means that it will work to purify the water dispensed from your kitchen faucet. If you’ve noticed any foul smells emanating from your home’s potable water, then an under sink filtration system can provide a fast and effective solution. However, it’s imperative to find a system that can deal with a wide range of possible impurities, since the types of minerals that you may be dealing with are heavily correlated with the source of your water. If you live in an area where your water is provided by a municipal authority, the chances are very good that it is already effectively treated and completely safe to drink. However, it may contain elevated levels of chlorine and fluoride, which are useful during the treatment process but may lead to unpleasant odors or unpalatable tastes by the time the water reaches your home. Families who rely on private well water often face an entirely different set of issues, and may instead find themselves confronted by contaminants such as iron, sulfur, and other minerals that can ruin the taste of water. Fortunately, the premium whole house drinking water systems we offer at RainSoft are designed to address all of these additives and impurities and provide you with fresh, clean drinking water on demand. Our products incorporate the very latest technologies available on the market, and are thoroughly Tested and Certified by independent organizations such as the Water Quality Association and NSF International to ensure they perform at the highest possible level. For more information about purchasing a RainSoft under sink water filtration system for your home, contact your local authorized RainSoft dealer today.